Crystal Parrish is the Office Manager at SERVPRO of Oxford, Batesville & Clarksdale. Crystal is focused on the customer experience and brings a wealth of knowledge of customer service from a history of working at a dental office and also an insurance agency. Her focus is helping each job flow smoothly from start to finish. Crystal lives in Water Valley with her husband, Andy, and two children, Bri and Cole. Nat Homan is the Production Manager at SERVPRO of Oxford, Batesville & Clarksdale. Nat is IICRC certified in WRT and ASD. He is also certified AMRT, FSRT, and OSHA. Nat has a history of working in the retail industry and knows how important great customer service is. Nat has experience with the building and construction of HVAC systems and has many years of supervisory and managerial experience in the Home Improvement industry. Nat lives in Oxford with his wife, Sarah, and two daughters. Matt Daughdrill is the Sales and Marketing Manager at SERVPRO of Oxford, Batesville & Clarksdale. Matt is IICRC WRT certified. He is our store lead and travels to assist in major storm events. Matt has traveled to the Mid-West, Texas, Lousianna, and the East Coast to help with flood damage caused by hurricanes. He has been a first responder to several large loss fire and water jobs here in the Oxford, Batesville, Clarkdsale areas. Matt lives in Bruce with his wife, Wendy, and two daughters, Abby and Bella. Brielle Cruse is a Sales and Marketing Representative at SERVPRO of Oxford, Batesville & Clarksdale. She is an Ole Miss Graduate with a Bachelors in Business Administration with a Major in Marketing. Brielle not only handles business development but also handles our social media campaigns. Brielle traveled to Wilmington, NC when Hurricane Florence struck the coast. She has also responded to several large loss fire and water jobs. Brielle lives in the Thaxton community with her husband, Jason, and three daughters, Paisley, Mary Francis, and Rigby. 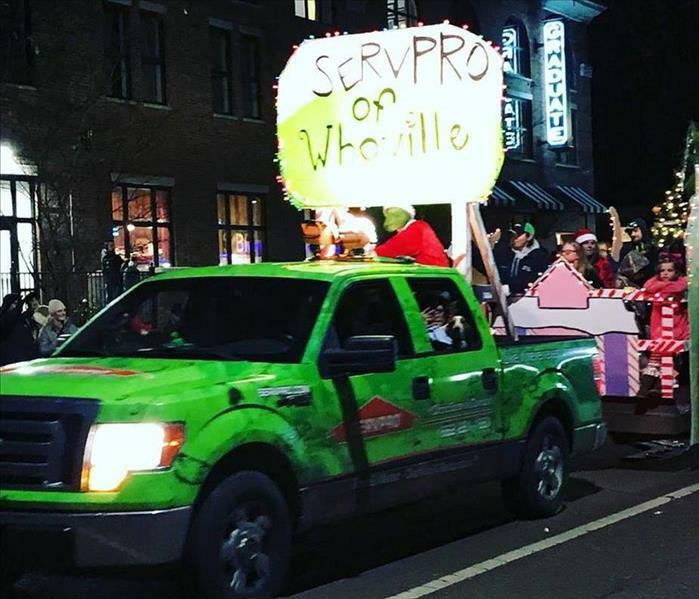 Dillan is a member of the production team here at SERVPRO of Oxford, Batesville & Clarksdale. As a production technician, Dillan has experience in fire, water, and cleaning. He is trained to follow SERVPRO production guidelines and communicates with our Production Manager to ensure that our customers return to preloss condition.